The city of St. John's says the site chosen for the Waterford Hospital clearly breaches its regulations, but top provincial officials say they're forging ahead anyway. 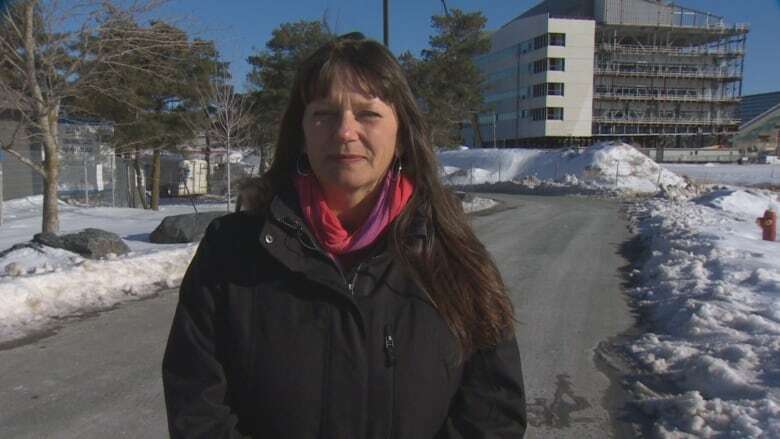 The City of St. John's is warning the province not to build its new mental health and addictions hospital — at least, not unless they pick another spot for it. "The problem here is, it's right in the city's flood plain," warned St. John's Deputy Mayor Sheilagh O'Leary. 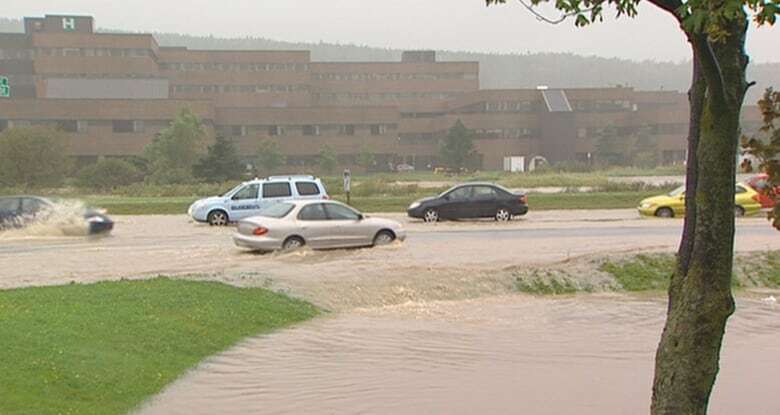 In 2010, when Hurricane Igor struck Newfoundland, the area around the Health Sciences Centre and the Prince Phillip Parkway flooded after the swollen Leary's Brook overflowed its banks. 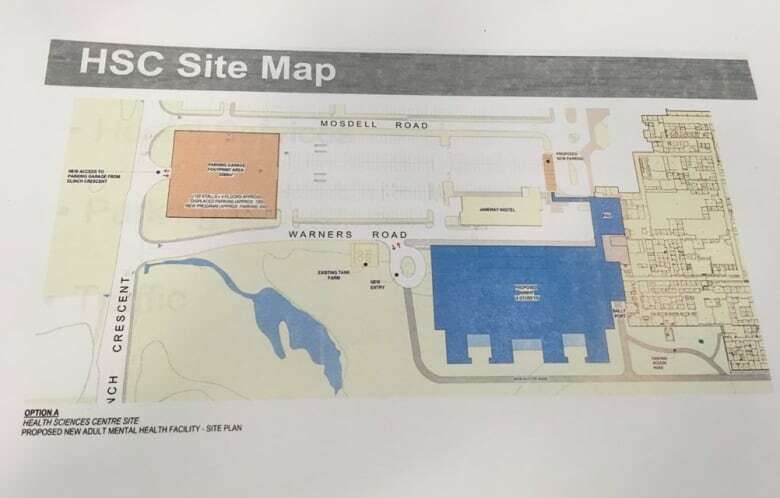 That's exactly where officials have decided to construct a replacement for the aging Waterford Hospital, prompting the city to speak up before workers break ground. Bad weather on the Avalon "is not something that is happening once every 100 years," said O'Leary. "So I really think there is an opportunity right now for the government to look at and readjust the plan for building within this particular area." 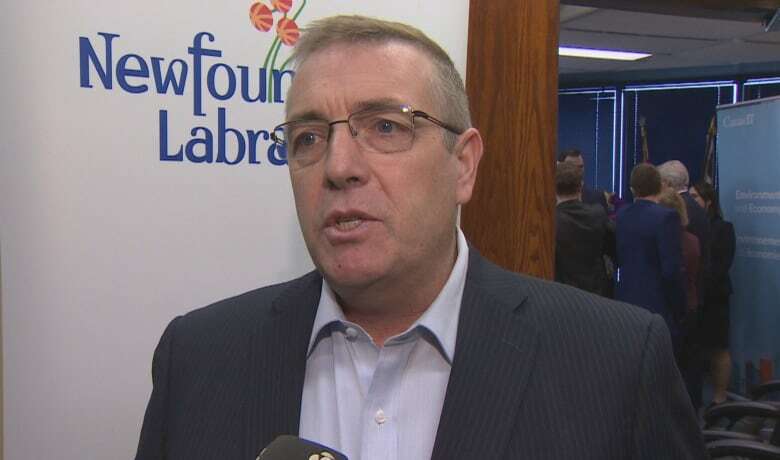 O'Leary has campaigned for better mental health care in Newfoundland and Labrador, and agrees the crumbling Waterford Hospital must be replaced. She even thinks it's a good idea to have the new facility near the Health Sciences Centre, so long as it avoids at-risk areas. 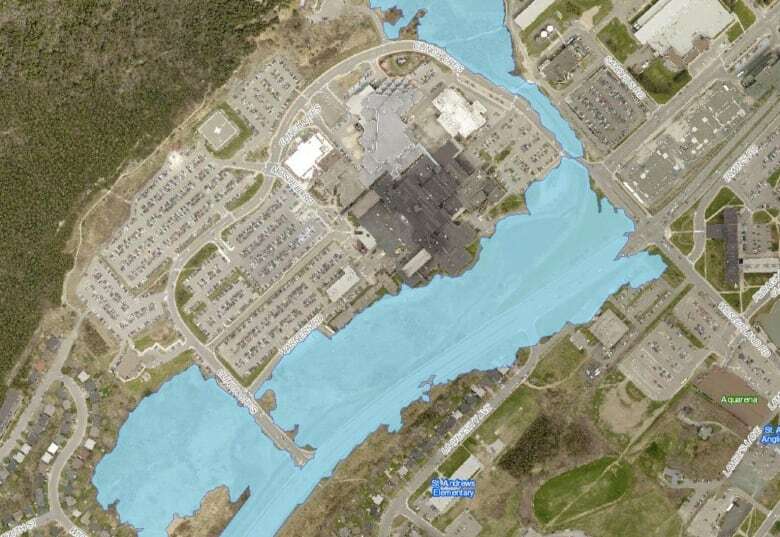 Despite the city's vocal dissent — including a publicly posted map of the flood zone on its website — the province remains at loggerheads with council over moving the proposed site. Transportation and Works Minister Steve Crocker said politicians heard loud and clear from groups representing people with mental illnesses: they want a new mental health hospital, and they want it near other facilities, such as the Health Sciences Centre. Crocker said provincial officials aren't flat-out ignoring the flood risk. He said a barrier, known as a berm, will be built to keep water away from the new facility and the entire Health Sciences complex. "Once the new berm is designed and put in place, our engineers are comfortable that we will actually put the Health Sciences area in a safer situation than it would find itself in today," he said. While O'Leary urges provincial officials to consider finding another location, Crocker said he'll move ahead with its plan as it stands. "We have to get on with this. We're talking about a building that pre-dates confederation of Canada," he said. "You know, for many years we have talked about the need for this new facility, and our commitment right now is to build a new facility to help the people of Newfoundland and Labrador to deal with the mental health and addiction issues that we face today." Crocker said work to clear the site for the new hospital will begin in 2019.